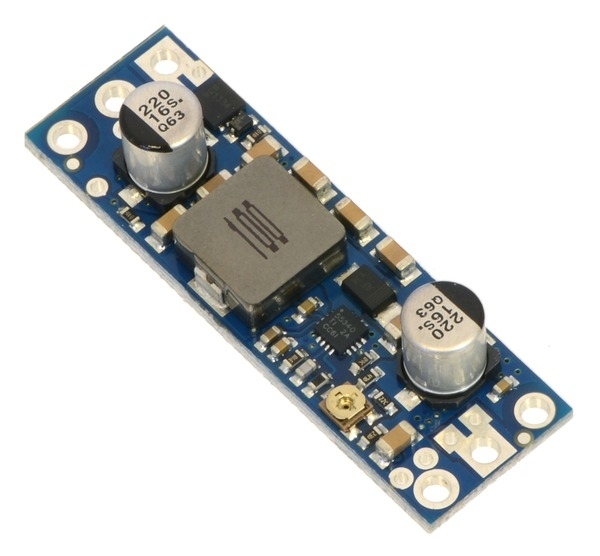 These adjustable boost (step-up) voltage regulators generate higher output voltages from input voltages as low as 2.9 V. They are switching regulators (also called switched-mode power supplies (SMPS) or DC-to-DC converters) and have a typical efficiency between 80% to 95%. 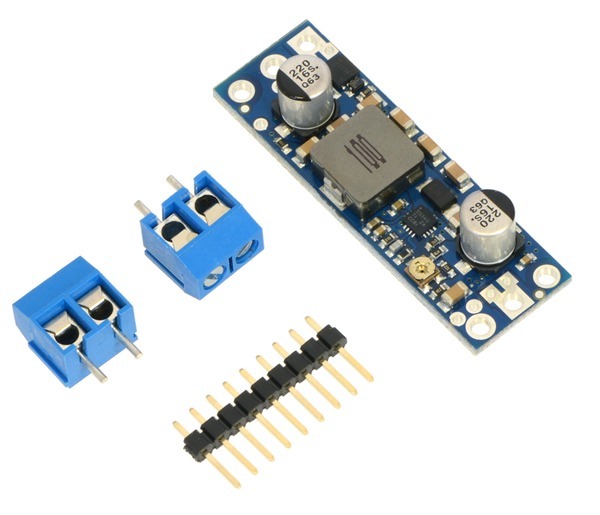 The available output current is a function of the input voltage, output voltage, and efficiency (see the Typical Efficiency and Output Current section below), but the input current can typically be as high as 5 A. 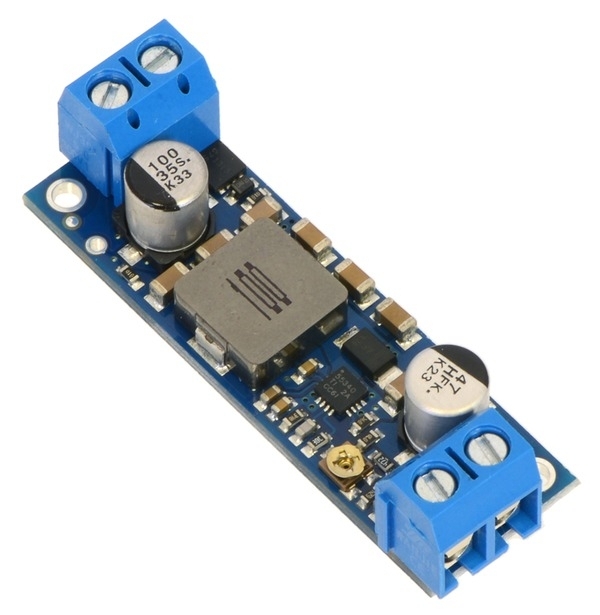 The U3V50x regulator family includes two adjustable-output versions: the U3V50ALV offers an output range of 4 V to 12 V and the U3V50AHV offers an output range of 9 V to 30 V. Versions of this regulator are also available with a fixed 5 V, 6 V, 9 V, 12 V, or 24 V output. terminal blocks and header pins. assembed with included terminal blocks. 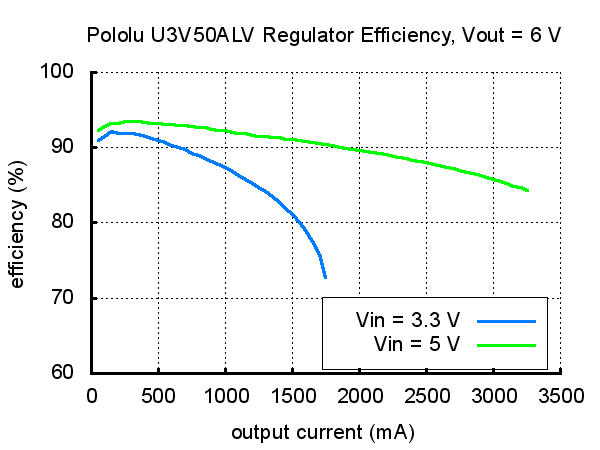 voltage regulators U3V50ALV (blue line) and U3V50AHV (red line). 3. The operating voltage should not exceed the set output voltage, VOUT. 4. Typical worst case (i.e. with VIN at 3 V and VOUT at 12 V). 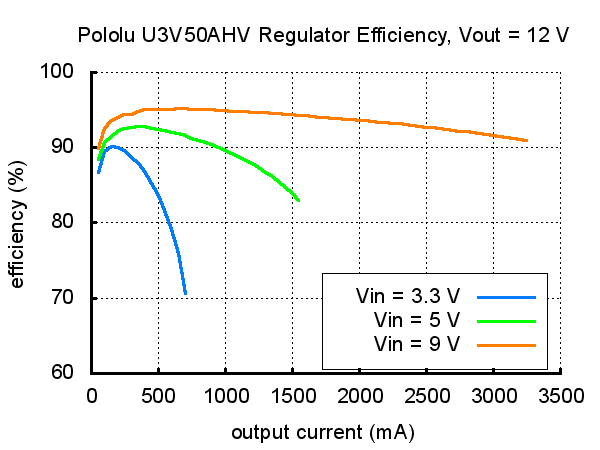 Quiescent current depends on the input and output voltages and is much lower for most of the input voltage range. 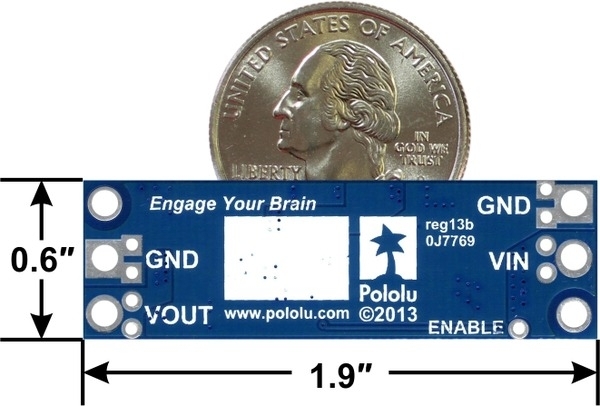 The ENABLE pin can be used to reduce this to well under 1 mA.